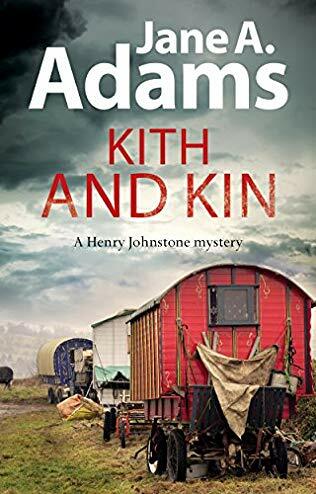 When two bodies are washed up on the Kentish marshes, DS Mickey Hitchens sent from London with DCI Henry Johnstone, to investigate, quickly identifies one of the bodies as Billy Crane, one of the henchmen of the East End’s notorious gangster Josiah Bailey. The other he has no doubt will be from the same stable. Investigating a disturbance at a nearby gypsy camp site gives them no actual information, as no will tell them anything, but a witness account unrelated to the camp has them certain that it merits more investigation. Whilst pondering their next more, a further death provides links that lead them to secrets long buried in the past. As Mickey and Henry seek to unravel the mysteries more bodies are discovered. What the investigation team can’t work out is who is orchestrating the killings. Is it Josiah Bailey, or is someone brave enough or foolish enough to try taking over his patch, or is it a vendetta, or just simple revenge – but for what? Set in December 1928, although 10 years after The Great War, the shadows of that time are still very alive. Where did you serve? is still the question often asked? Although written in the third person, the narrative is interspersed with first person journal entries from Henry Johnston. It was clear when reading the book that it was written by someone who had researched that period extensively. It is universally known that it was a terrible war, and one can only imagine how those experiencing it would long to be back home – or would they? One passage in Henry’s journal really had me thinking. I can’t even recall wanting to live. I can’t recall wanting anything except to be away from that place. I don’t think I even had a desire to be at home because I could no longer remember what home felt like. It had been too long, and the change had been too great, and I don’t think I felt that I could ever belong anywhere, ever again. Whilst following the investigation we learn much of the protagonists lives and meet some interesting characters along the way. The most enigmatic of the characters is Henry Johnson, and although we learn more of him there is, I feel more to be learned. The background to the close relationship between him and his Sergeant Mickey Hitchens is also revealed. Eventually the tenuous threads come together taking us back to 1918. A cleverly plotted the story that reaches a satisfying conclusion, whilst providing a couple of hooks to keep one on edge for the next book in the series..
Kith and Kin is the third book in this series, with a fourth due out in July 2019, entitled The Clockmaker. I look forward to it. Earlier books in this series are The Murder Book (2016) and Death Scene (2017. Jane Adams was born in Leicestershire, where she still lives. She has a degree in Sociology and has held a variety of jobs including lead vocalist in a folk-rock band. She enjoys pen and ink drawing; martial arts and her ambition is to travel the length of the Silk Road by motorbike. 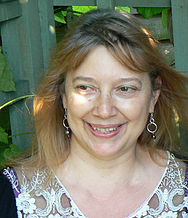 Her first book, The Greenway, was shortlisted for the CWA John Creasey Award in 1995 and for the Author's Club Best First Novel Award. Jane writes several series. Her first series featured Mike Croft. Several books featuring DS Ray Flowers. Twelve titles featuring blind Naoimi Blake, and more recently seven featuring Rina Martin. Her latest series is set in the 1920’s and features Chief Inspector Henry Johnson. Jane has also written three standalone novels. She is married with two children.